Chicken is one of the most popular foods we love to cook and eat: comforting, quick, celebratory and casual. Plundering the globe, there is no shortage of brilliant ways to cook it, whether you need a quick supper on the table after work, something for a lazy summer barbecue or a feast to nourish family and friends. From quick Vietnamese lemon grass and chilli chicken thighs and a smoky chicken salad with roast peppers and almonds, through to a complete feast with pomegranate, barley and feta stuffed roast chicken with Georgian aubergines, there is no eating or entertaining occasion that isn’t covered in this book. 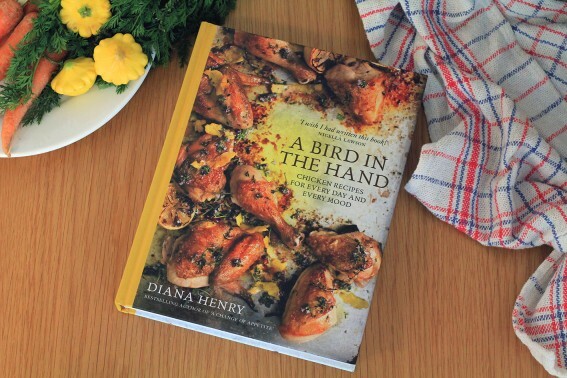 In A Bird in the Hand, Diana Henry o­ffers a host of new, easy and not-so-very-well-known dishes, starring the bird we all love.